Pick a pool and hop in, or relax in one of the eight hot tubs. Practice your swing at the onsite Shadow Ridge Golf Club. Little ones will love the games, books, and activities. Little ones will love the family pool, children's club, and movie theater. Work on perfecting your swing at Shadow Ridge Golf Club, located on-site. No need to run back to your condo for snacks or drinks. The 2 poolside bar & grills have you covered. Find your inner-Serena Williams on the on-site tennis courts. - The name on the credit card used at check-in to pay for incidentals must be the primary name on the guestroom reservation. Please note that cultural norms and guest policies may differ by country and by property. The policies listed are provided by the property. 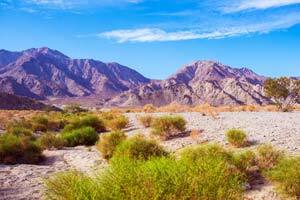 Palm Desert has made quick work of developing into a boomtown — but the desert's never too far away.